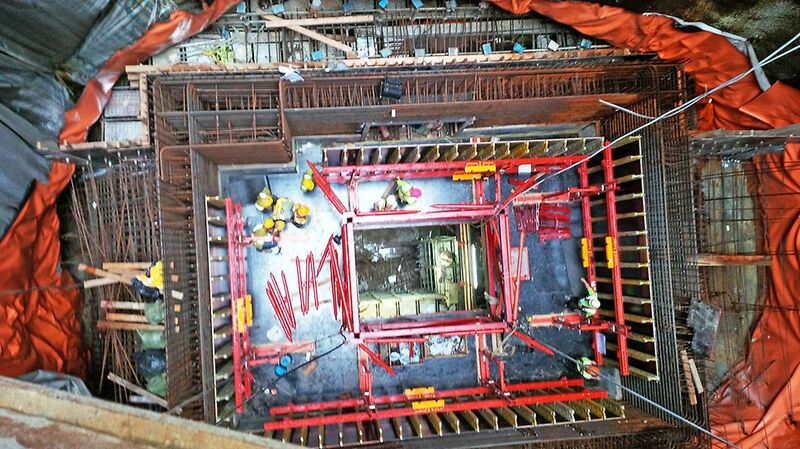 MTR underground station entrance shaft. 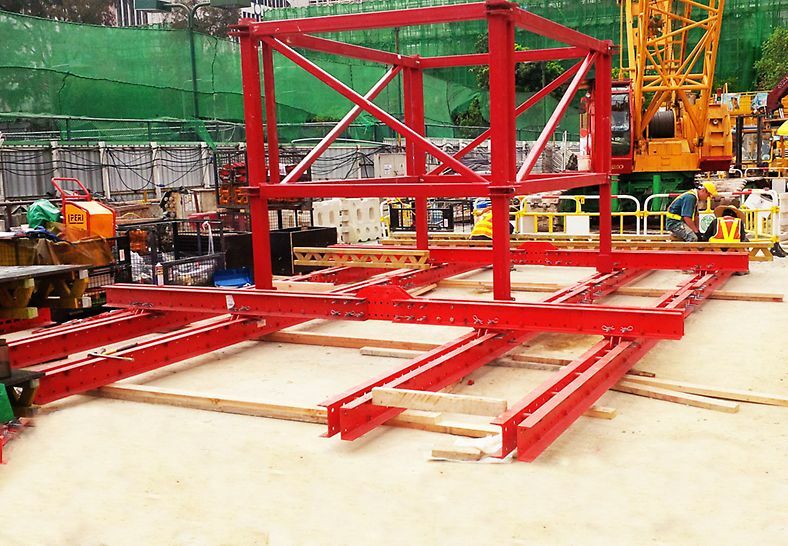 Single-sided, VARIO GT24 formwork & special single-lift platform system.The system was designed to be supported by only 4 No. wall anchors. 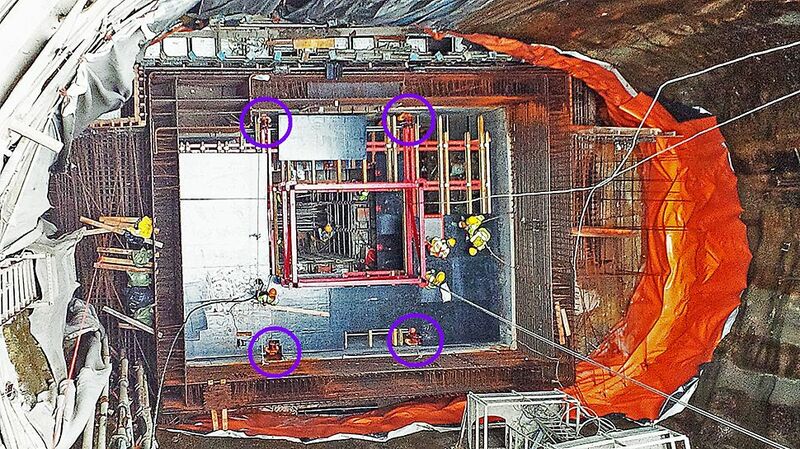 One set of RCS hydraulics was provided, capable of lifting 28t at a speed of 1.0m/min with all loads carried by only the 4 No. wall anchors.